It looks like a muddy puddle, it tastes the same but if you’re heading to Fiji anytime this is why you should experience getting Kava drunk! One of the bets things about travelling the world is meeting the locals and getting involved in the cultures and customs that make each destination unique. Whether you’re sipping mint tea with Berbers in Morocco, eating Pad Thai in Thailand, having a BBQ on the beach in Australia or enjoying a traditional Hanggi in New Zealand every place has something that really sticks with you – the tastes, the smells, the conversation. So what exactly is kava? 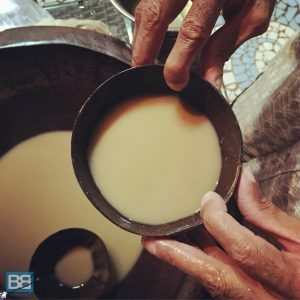 Well like all the best things in life Kava is natural – a root – grown throughout parts of Fiji for years and the kava drink itself is a simple mixture of the root and water. Fijians have used it for years for meetings, business and celebration. 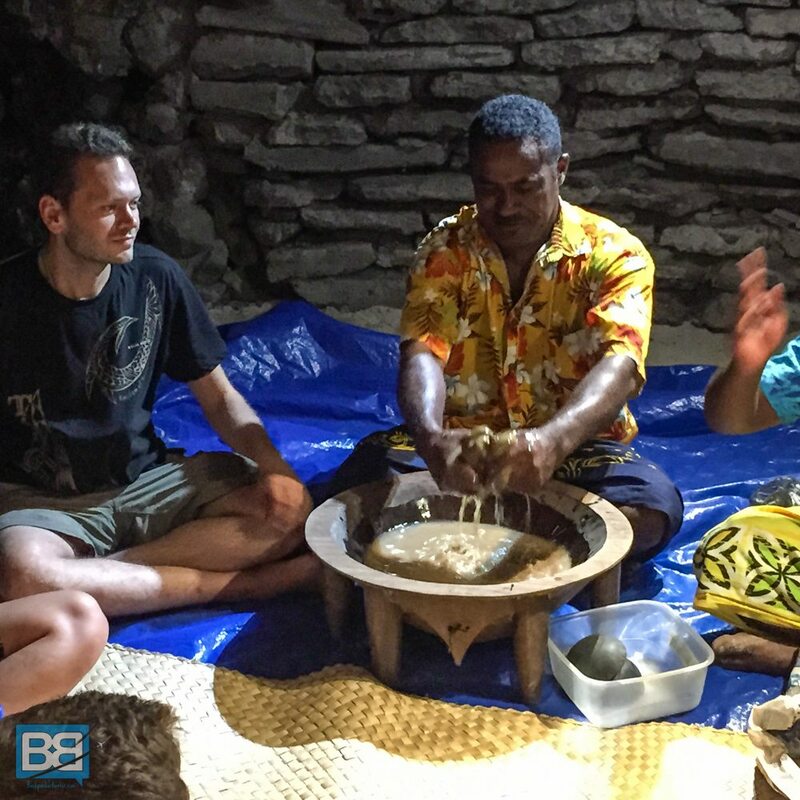 The Kava bowl is the epic centre of much of Fijian life – much like the British love their tea and use any excuse for a brew the Fijians have their kava! Making kava can be done two ways, both of which are pretty simple, but as with many things these days one if slightly more industrialised! Traditionally the kava root is placed into a standing container and pounded for about 10 minutes until broken down. 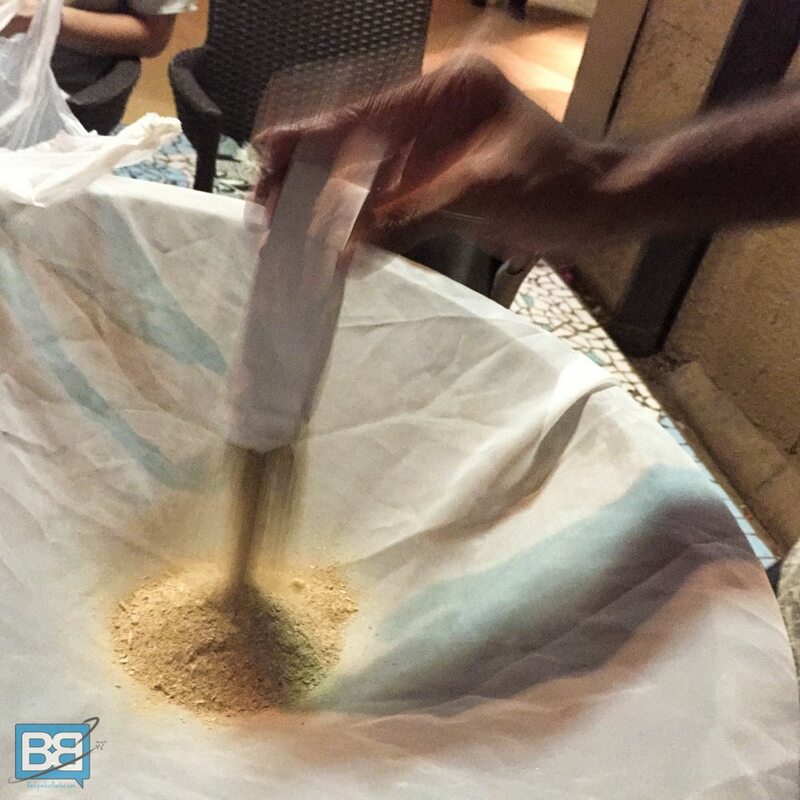 The more modern and faster way is simply to buy the pre packaged kava powder! Either way the kava is placed on fine material and water is poured over it, extracting the taste and natural toxins. As it become wetter it is then wrapped and needed into the water, releasing even more kava goodness into the liquid and turning it into a dirty, greyish brown solution…yummy! As with anything of social importance though there’s a set of rituals and protocols which are strictly adhered to when it comes to busting out the kava. After arranging yourselves into a circle there are two people who have the most importance in the group – the dude serving the kava and the chief. Now the chief is someone from the visiting group who is the leader, or in the case of travellers – someone who volunteers/is shoved into the position! Now the chief is the first person to drink in every round, so if you find yourself in this role be prepared to go big on the kava drinking! 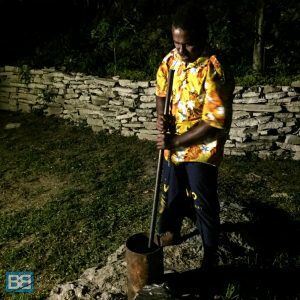 The guy serving the kava is also of high importance, usually as he’s the one making it, but also because of the fact he’s also in charge of how much you have to drink, so it pays to be nice! Kava is prepared in a dedicated kava bowl – usually carved or pretty ornate looking and served in a coconut shell. Servings wise you can request a low tide, mid tide or high tide serving…pretty self explanatory really. If however you’re feeling pretty adventurous or are already slightly intoxicated you can request a tsunami portion where the coconut is literally filled to the brink. Proceed with caution…you have been warned! When the drinking commences you clap once, yell “BULA”, drink (all in one! ), then clap three times and say “MATHE” before handing the bowl back to the server and trying to keep a happy looking appearance! As soon as that kava first hit my lips I felt a slight grimace spread across my face, the mixture resembles a muddy puddle and unfortunately it tastes much the same – the grit of the root providing a lingering after taste that is probably based chased with a cold beer! Still, there is something strangely addictive about it. Maybe it’s the social aspect, the performance of it all but I kept coming back for more. 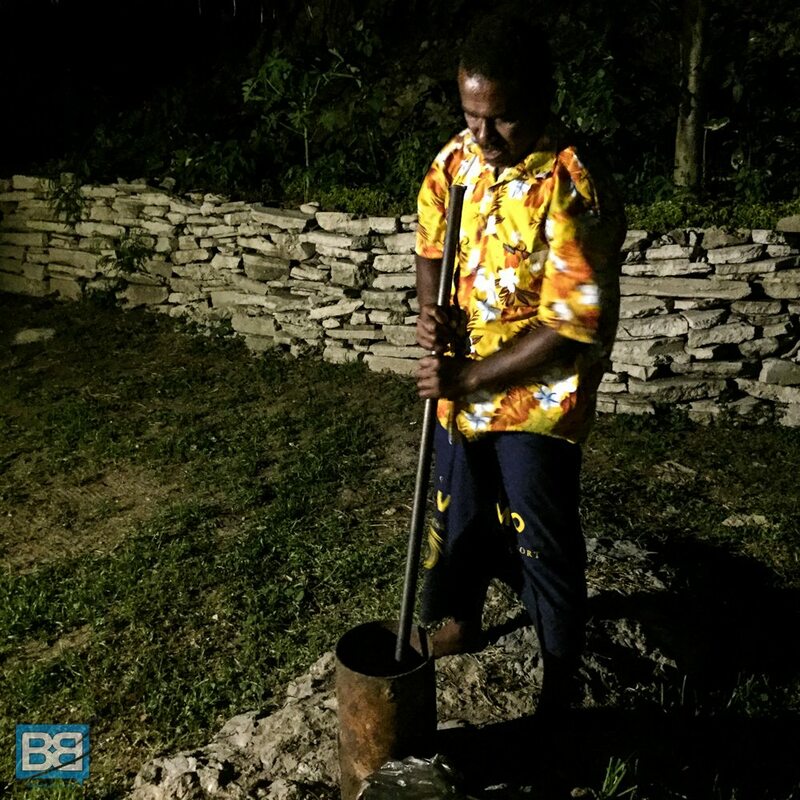 It’s probably the peer pressure to be honest as the locals can pound the stuff down, regularly consuming a huge bowl of kava much the same as the West hits the pub or enjoys a quiet night with a bottle of wine! A couple of bowls in my mouth and face were distinctly numb – not in a bad way though, it was a new and pretty fun feeling as my reactions were definitely dulled. I wasn’t drunk in the sense that beer gets you drunk but there was an odd sensation and I was certainly in a happy place! Again the laughter the smiles the conversation about exotic islands and culture – the whole experience came together as something I’ll never forget. 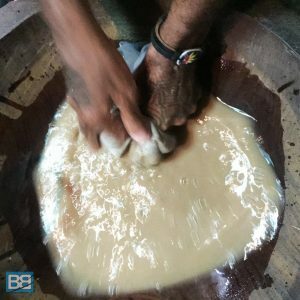 Have you ever tried kava – what did you make of it?! IT’s certainly a unique taste! I think you can buy some kava based drinks outside of Fiji but it’s not going to be quite the same!haha! 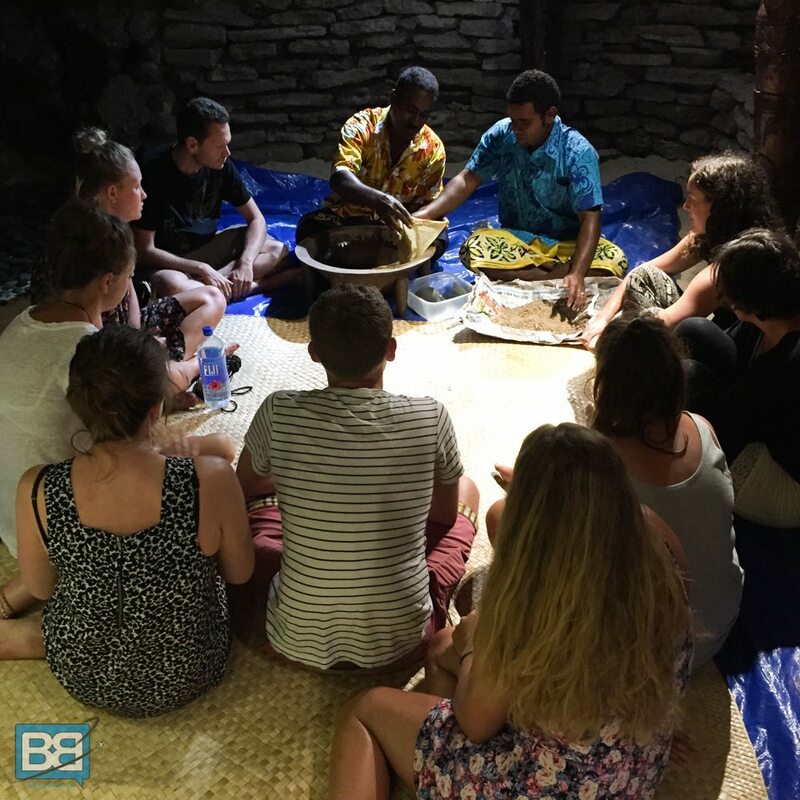 You can’t beat a good kava ceremony!